Quilty writes: Now in its 17th year, the war between the internationally-backed Afghan government and the Taliban is more deadly than ever. 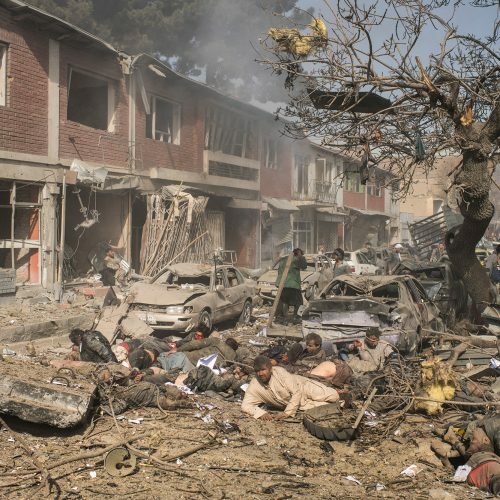 According to the United Nations Assistance mission to Afghanistan, 1,692 civilians were killed in the first half of 2018 alone (nearly ten per day), more than any six month period since UNAMA began recording civilian casualties in 2009. For combatants, casualty rates have become so bad that the government recently ordered figures to remain classified. 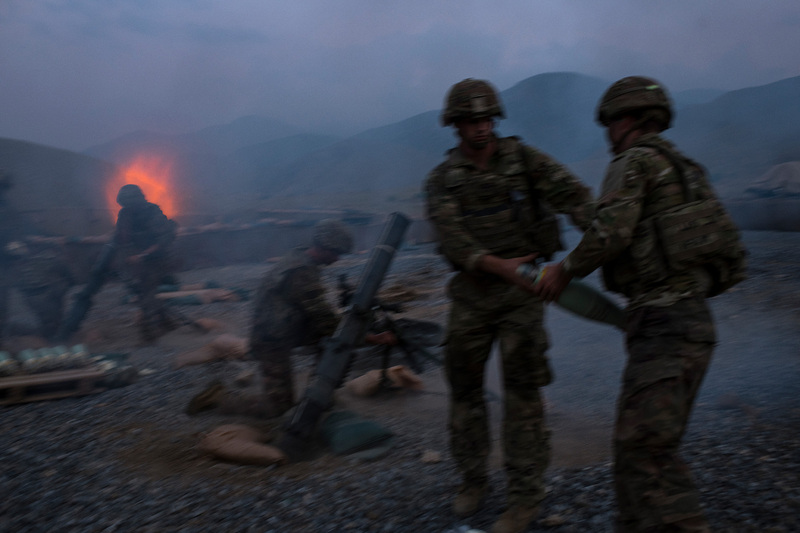 The New York Times reported that approximately 10,000 members of the Afghan National Security Forces were killed in 2017. That’s more than 27 every day. Taliban deaths are estimated to be roughly the same. 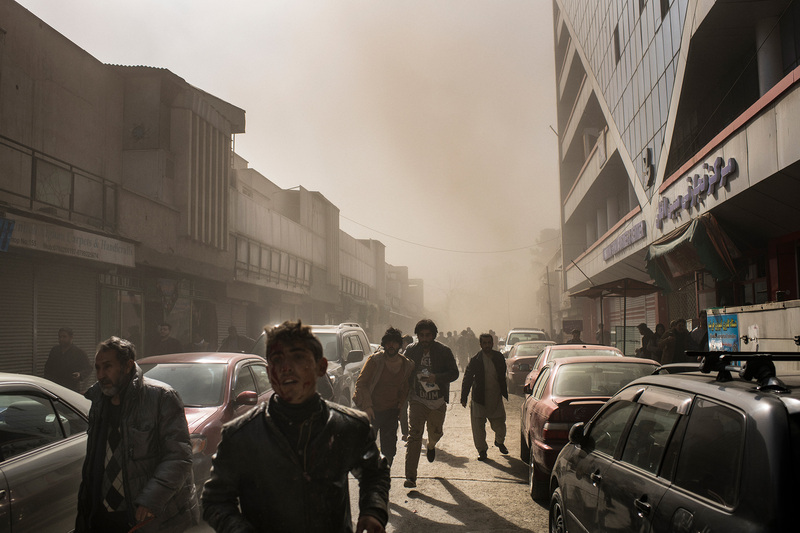 Islamic State’s Afghan affiliate has proven to be equally deadly. 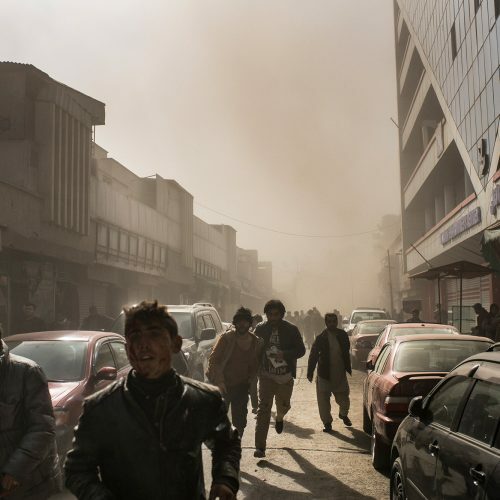 While they are out-gunned on the battlefield, Islamic State Khorasan Province has carried out dozens of horrific bombings in major Afghan cities against targets ranging from government departments to NGO offices, journalists and even schools. 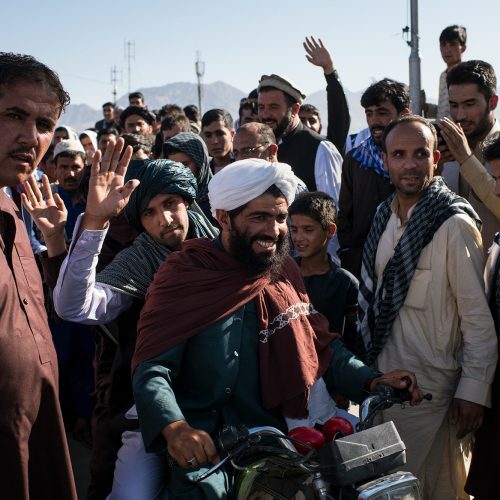 A glimmer of hope came in the form of three days of overlapping unilateral ceasefire between Taliban fighters and Afghan security forces over the Eid holiday in June this year. 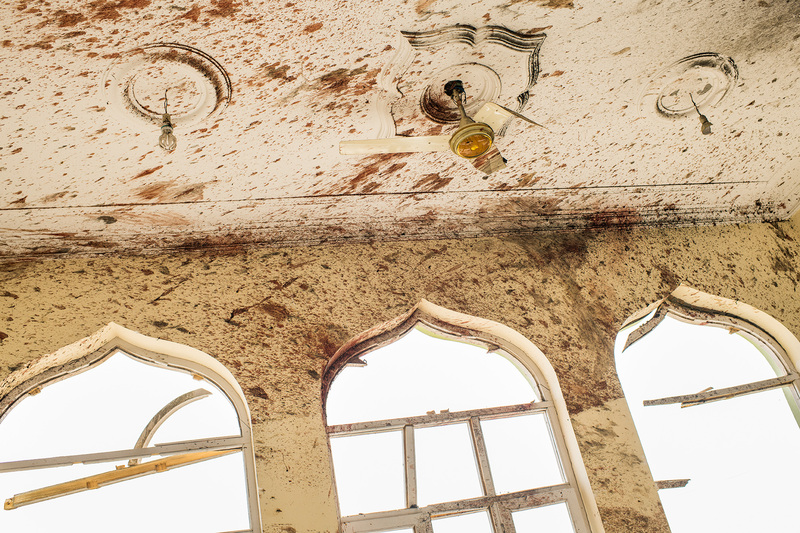 The outward display of unity was unlike any that had been witnessed since the war began in 2001. Since then, however, fighting has resumed and the toll on both sides, and the civilian population, has continued to climb. Moments after an ambulance packed with explosives was detonated at the far end of Chicken Street (pictured) shopkeepers, passersby and residents, some injured, ran from the scene. 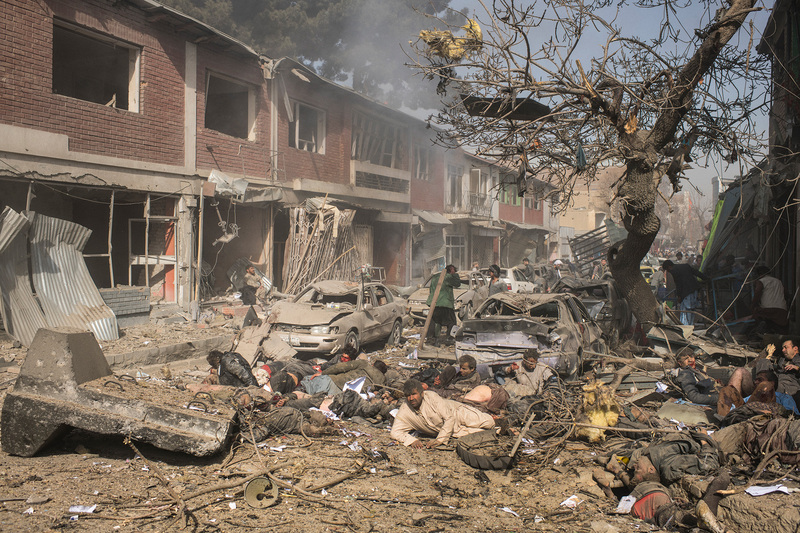 Victims lie dead and severely wounded among fallen branches, crumpled cars and debris after the huge bomb was detonated metres away, minutes earlier. Miraculously, some in this photograph survived, despite their close proximity to the explosion. 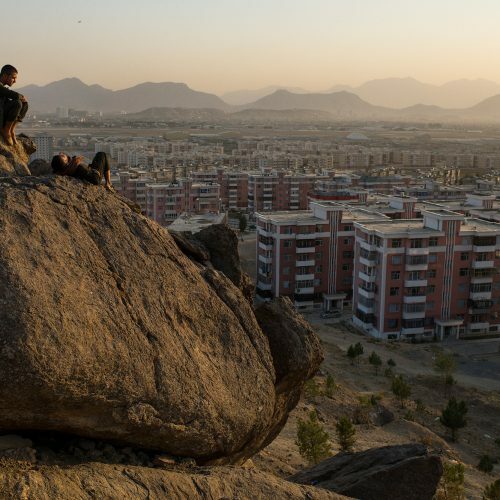 Samim Sediqi (left) and Iqbal hang out on a boulder, enjoying the sunset above the Khwaja Rawash apartment complex in the Qasaba area on the far northern edge of Kabul. 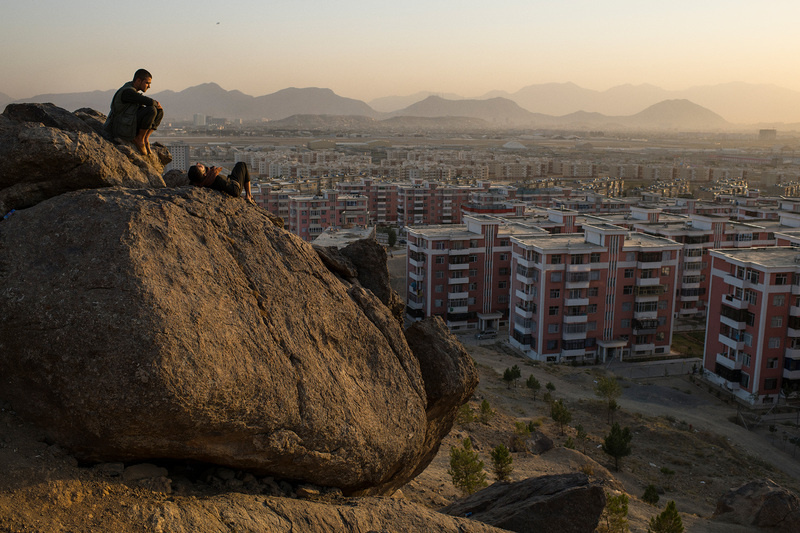 The friends said they were amongst the first 10-12 families to move into the complex, which has a calm atmosphere seldom found in the rest of Afghanistan. 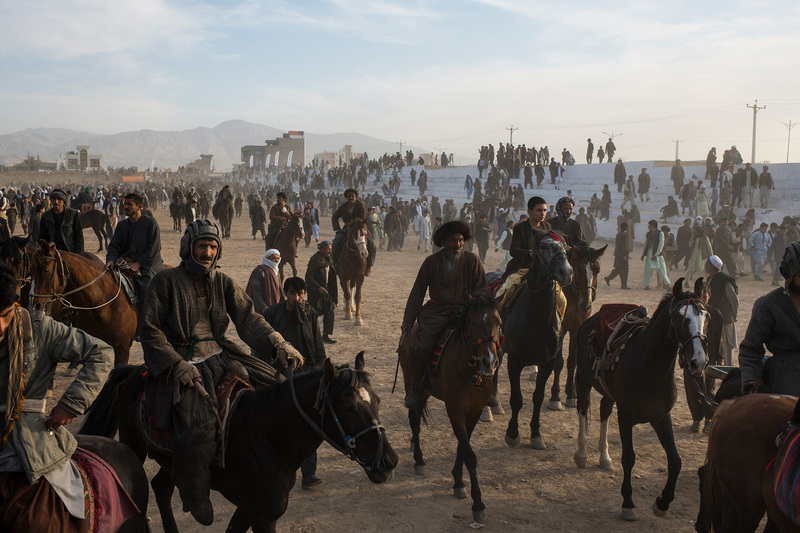 Buzkashi players leave the field after the traditional final match of the season on the Persian New Year holiday in the northern city of Mazar-i Sharif. 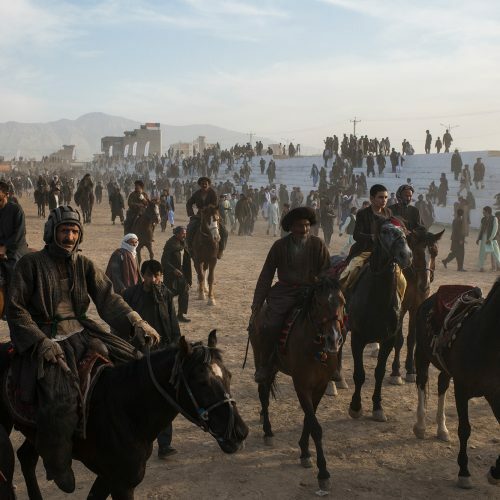 Afghanistan's national sport, Buzkashi sees horsemen vying for a headless goat, which must be placed in a goal to score. 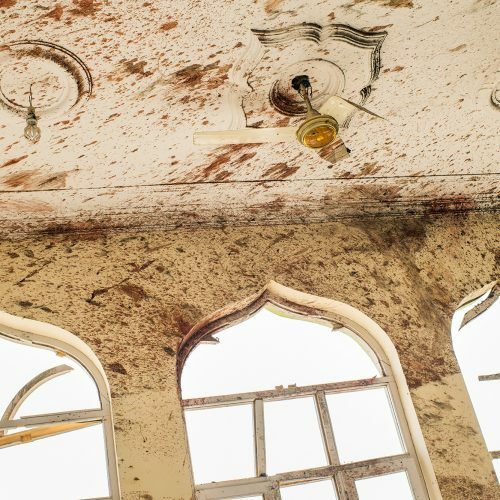 Inside the blood splattered Imam Zamam Grand Mosque the morning after a suicide bomber detonated explosives during Friday prayers. Reports of the number of victims have varied but are likely to have been more than 50. 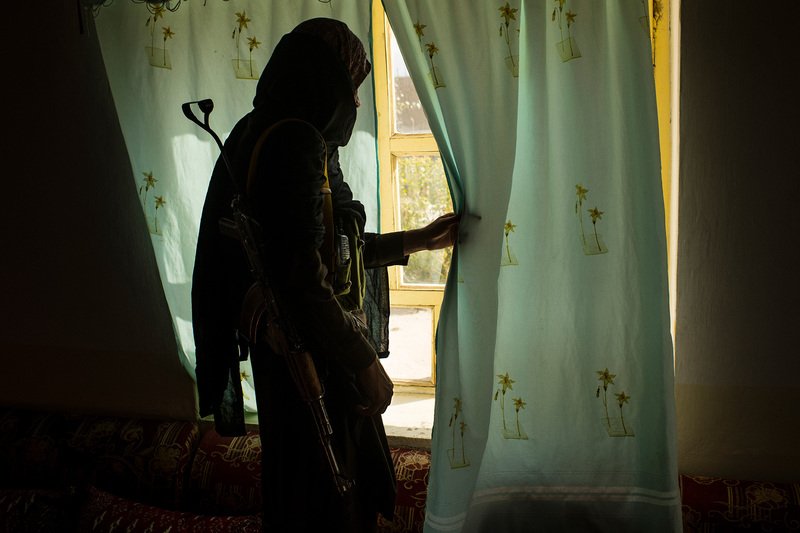 "Yamin" (not his real name), a local Taliban fighter and bodyguard checks out the window before departing a house on the edge of the village of Shah Mazar... between the Taliban strongholds of Baraki Barak and Charkh. Our hosts rode a motorcycle—one carrying a Kalashnikov—to meet my colleagues and I on the highway. To our knowledge we were the first foreign reporters to have met face-to-face with Taliban outside of government-held territory in some years. 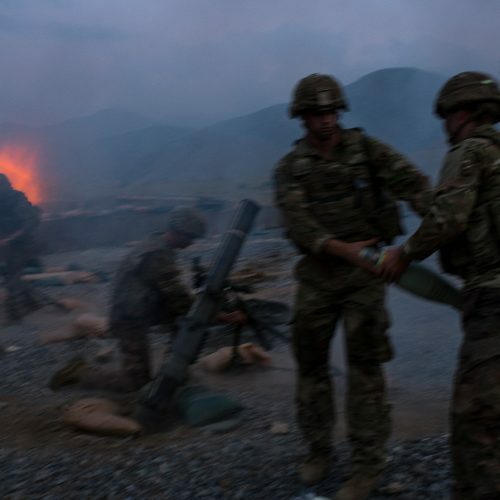 Mortar teams from a US Army conventional unit fire mortars for “terrain denial”—supposedly to prevent enemy fighters from occupying high ground. 12-year-old Shafiquallah’s uncle Zar Gul comforts him while a nurse prepares to clean the wounds on the stumps that used to be his legs. 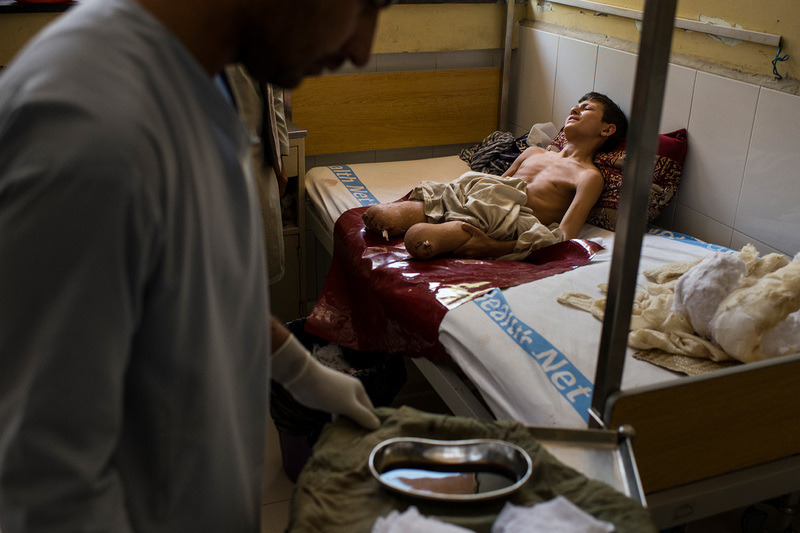 He and his two younger brothers Mangal and Rashid share this room in Nangahar Regional Hospital in eastern Afghanistan. Between the three of them they have only one leg. 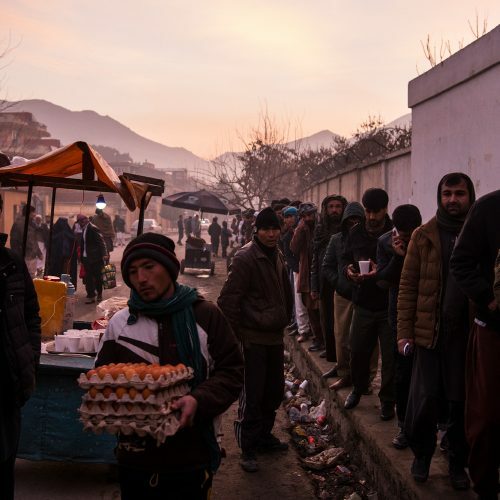 On the second day of an overlap in unilateral ceasefires ordered by the Afghan government and Taliban leadership, members of the Taliban and their supporters entered Kabul, leaving their weapons at the gates. They were mostly welcomed by crowds of cheering and waving residents, while some looked on warily. 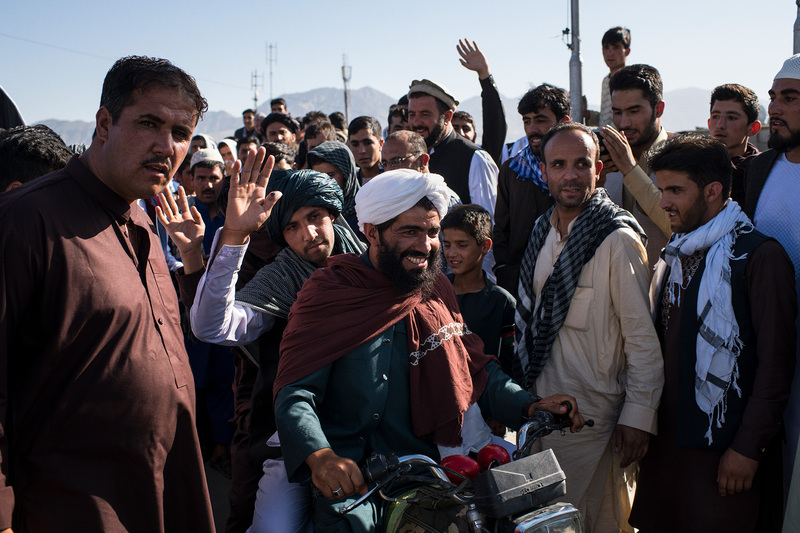 The three men on this motorcycle were believed to be Taliban. 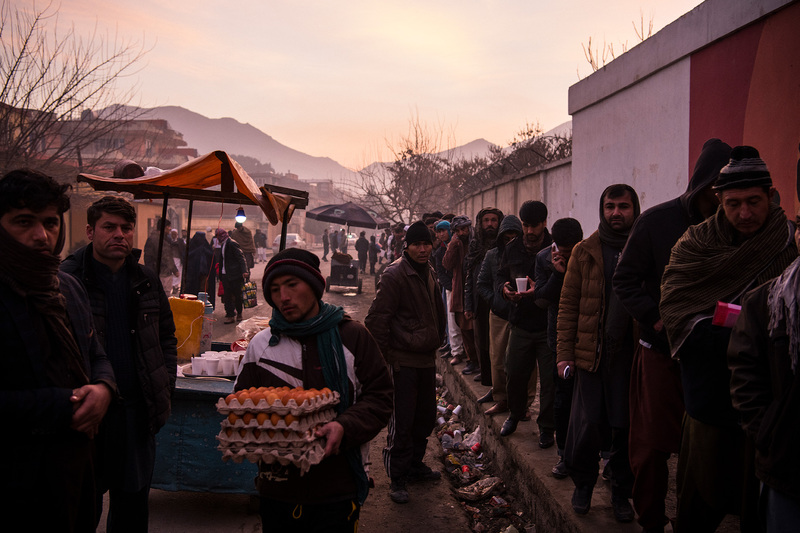 At dawn a queue of men forms outside the Afghan Passport Office, the only one of its kind in Afghanistan. The director of the office, Brig. Gen. Saboor, said that around 5,000 people are applying for passports every day at the moment.